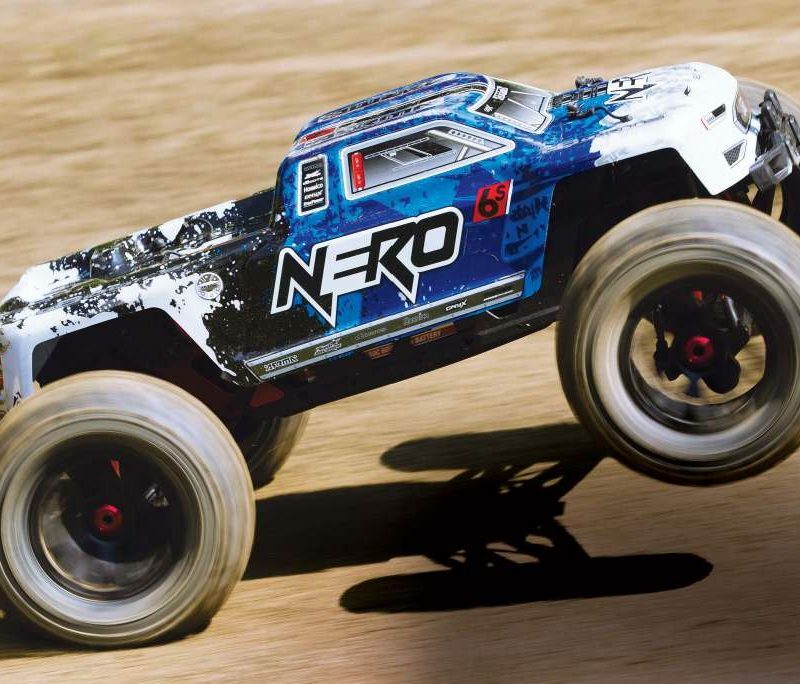 The first segment of RC that comes to my mind when someone refers to a “backyard basher” is the 2WD electric monster truck class. This type of truck is perfect for the backyard. 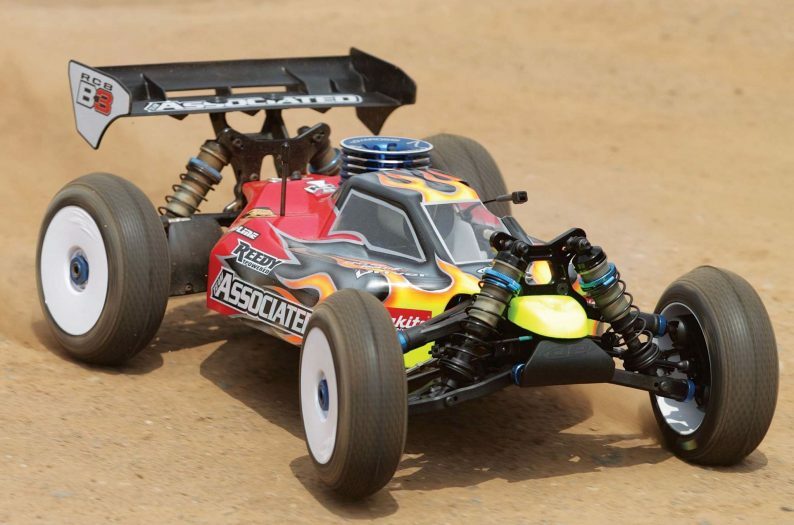 It has the right ground clearance, the right look, the right amount of power, the right handling and can deliver on fun in a true backyard setting. 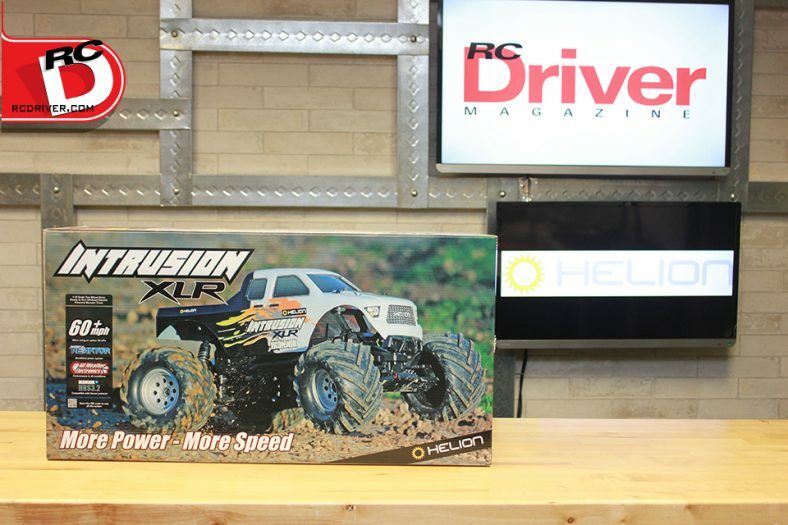 The new truck on the block that delivers all of those qualities is the new Intrusion XLR from Helion RC. 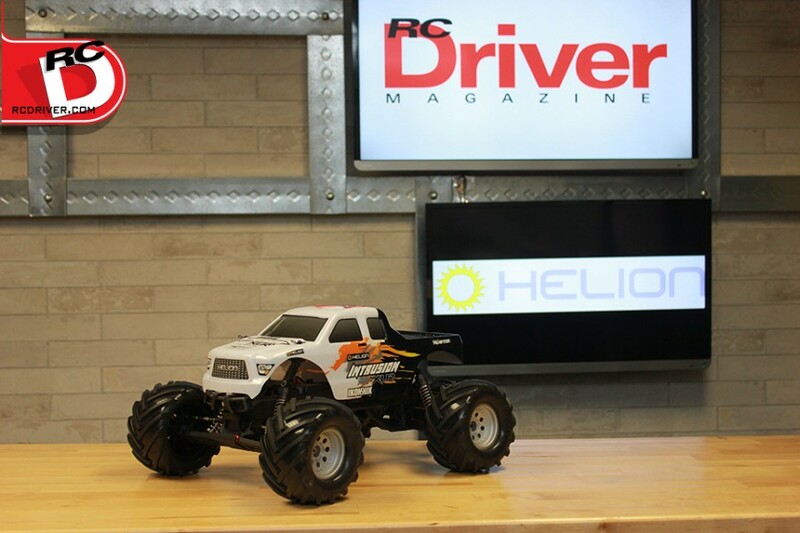 Helion has entered this segment hard with an excellent looking truck that is sure to have their competitors trembling. 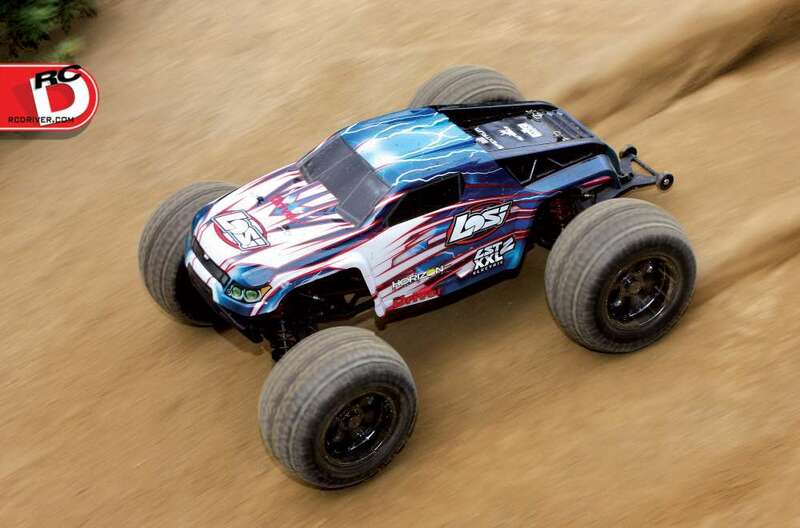 The truck is equipped with a powerful brushless system that when paired with an optional 3S battery can move this truck in speeds over 60mph and speeds of 40 plus right out of the box, no slouching here. 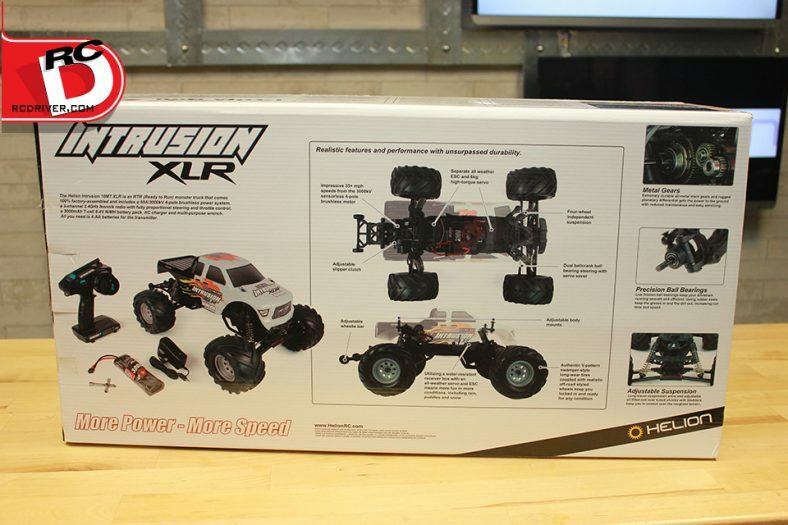 We’ve unboxed the new Intrusion XLR and are excited by what we see, check out our impressions and photos of this new 2wd monster powerhouse. 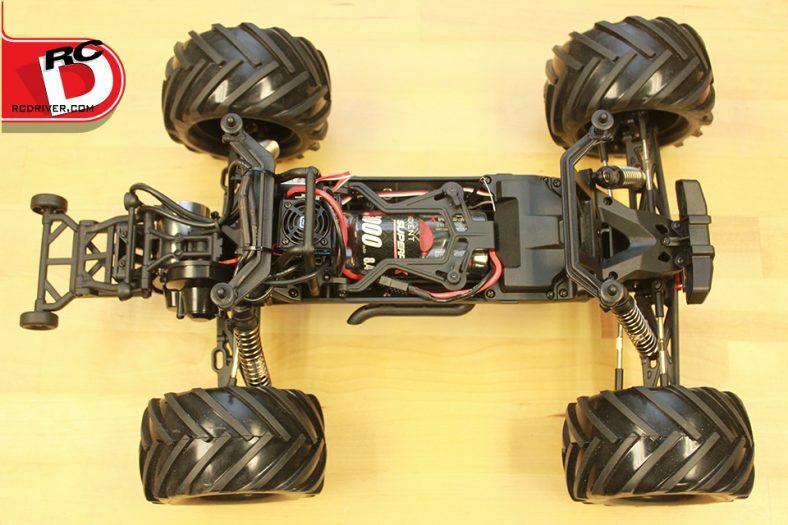 What’s in the box: Assembled vehicle with brushless motor and electronics installed, 2-channel 2.4gHz radio, painted body, wall charger and 8.4V NiMh battery. 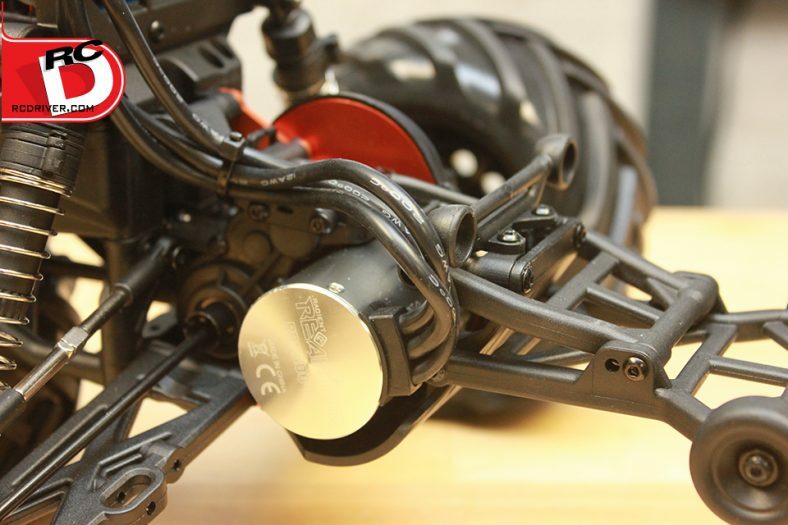 – Cool details! The body on the Intrusion has some wild graphics and just the right amount where the truck isn’t too busy but still eye catching. 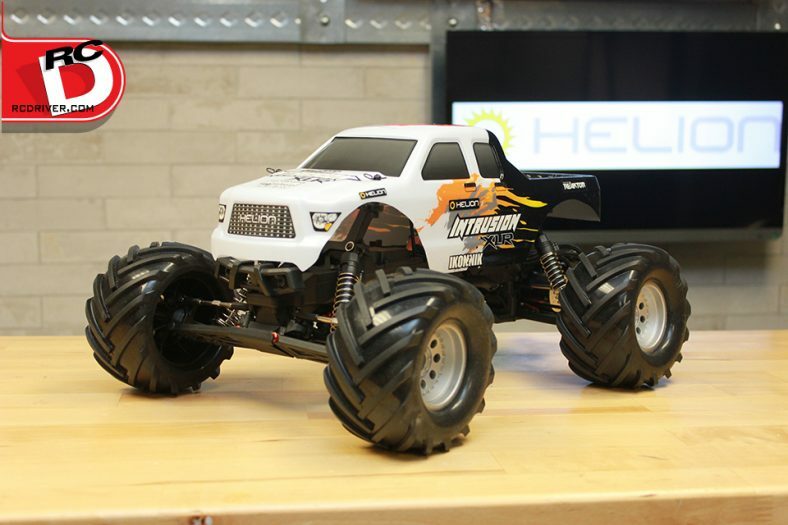 The front upper bumper gives the truck a mean look and a wheelie bar out back looks great while adding functionality. What really caught our eye were the bolt on side pipes on the chassis. Little details like this turns heads. 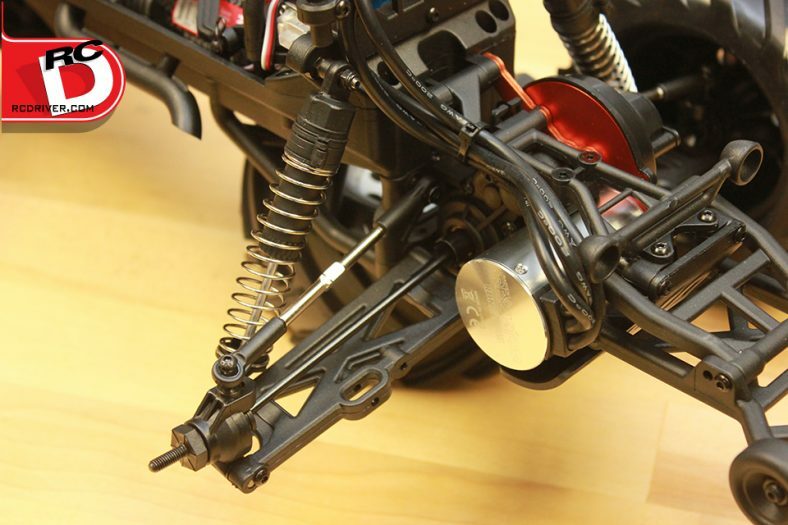 – High clearance chassis. 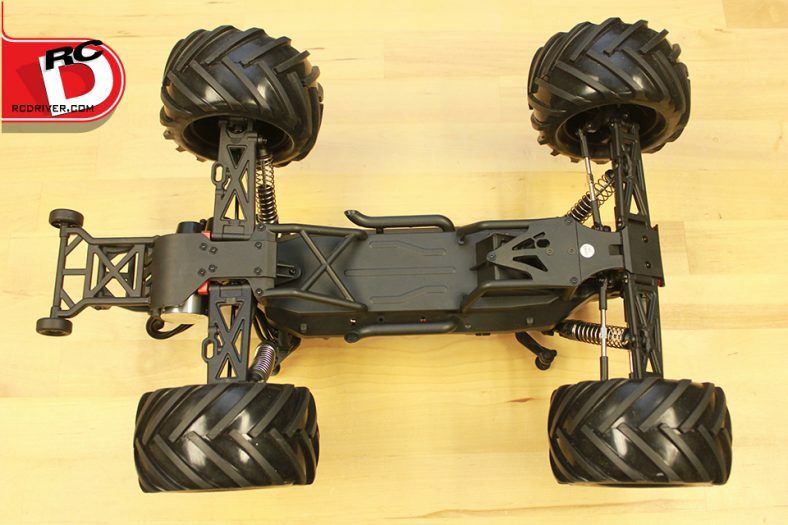 The truck has a high clearance chassis so the truck is less likely to get hung up on stuff while out terrorizing the terrain. 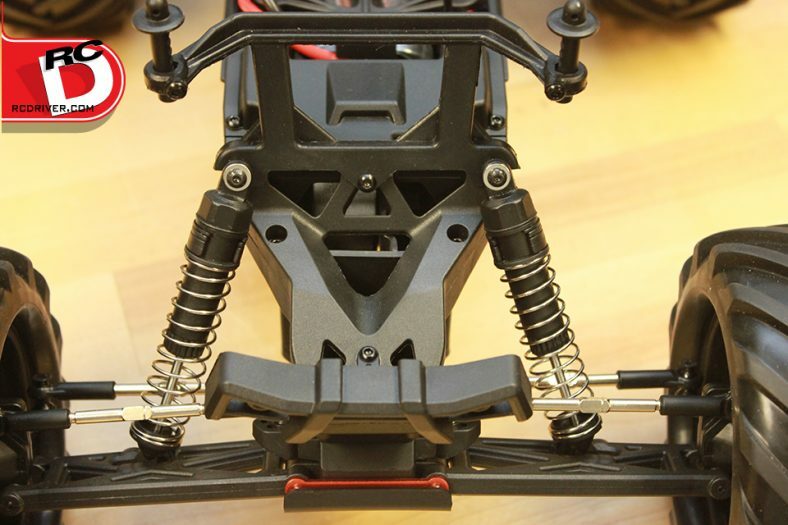 The lower chassis plates with trusses do a great job of keeping the platform stiff. 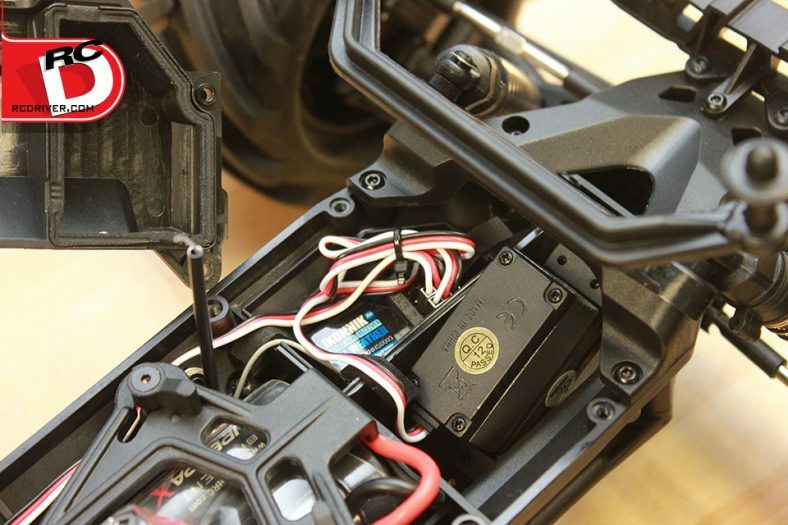 The narrow chassis incorporates a radio box top up front to keep the receiver protected. 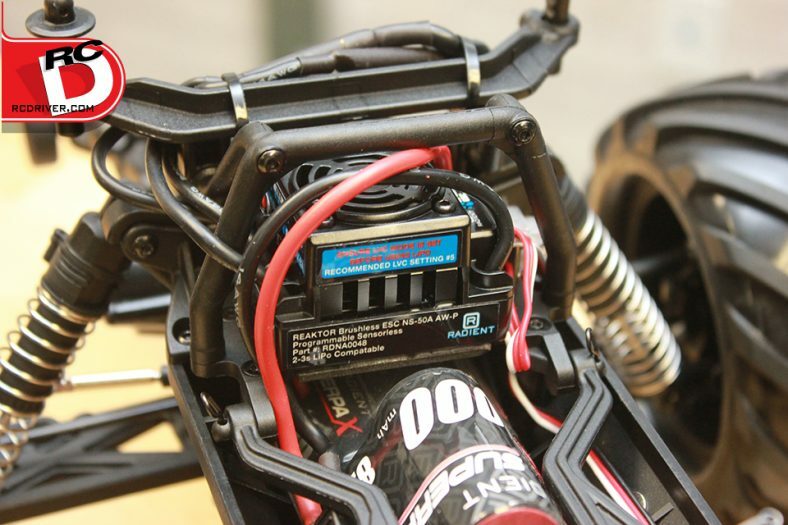 Battery access is easy with a flip up plate that is secured with two latches. 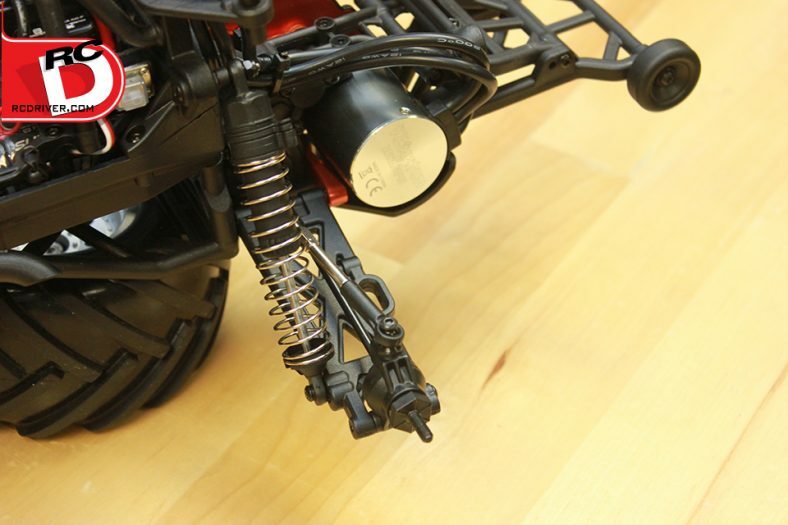 – Durable Suspension. 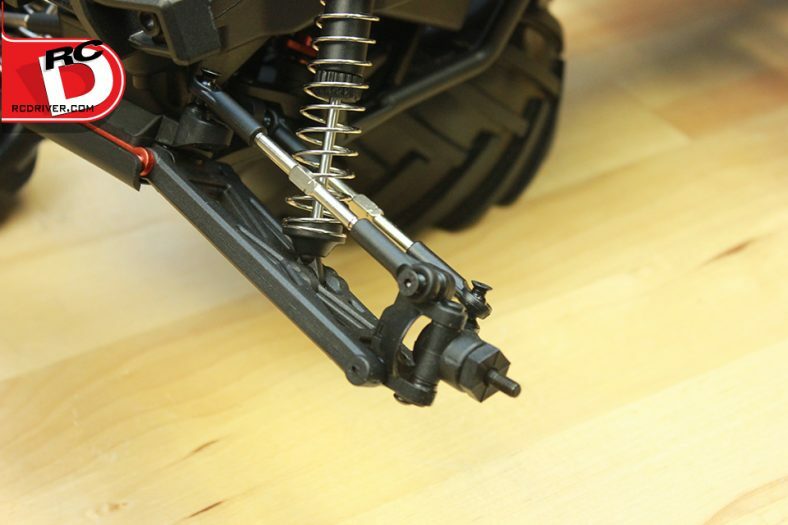 A quick twist test on the suspension arms reveled the arms are made up of a durable composite plastic designed to flex in a crash rather than break. The metal turnbuckles are nice and thick and better yet adjustable. 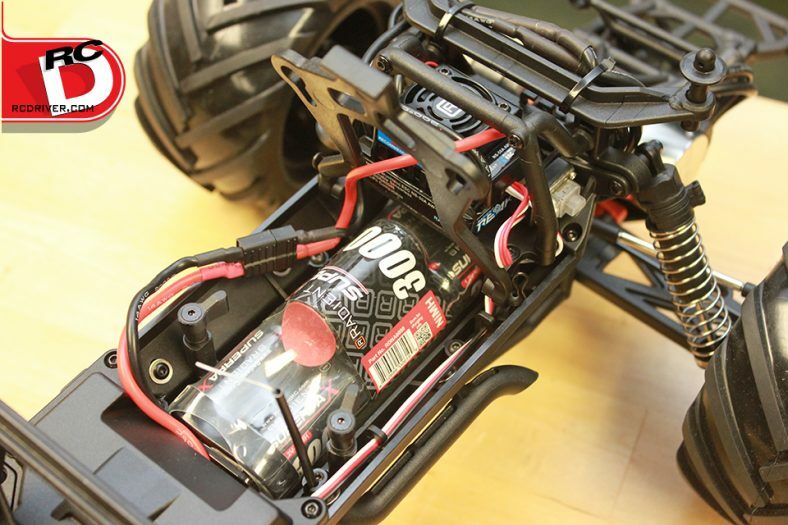 Plastic body oil filled shock damp each corner and attach to bulkhead like shock towers up top which appears to be a pretty strong set-up. 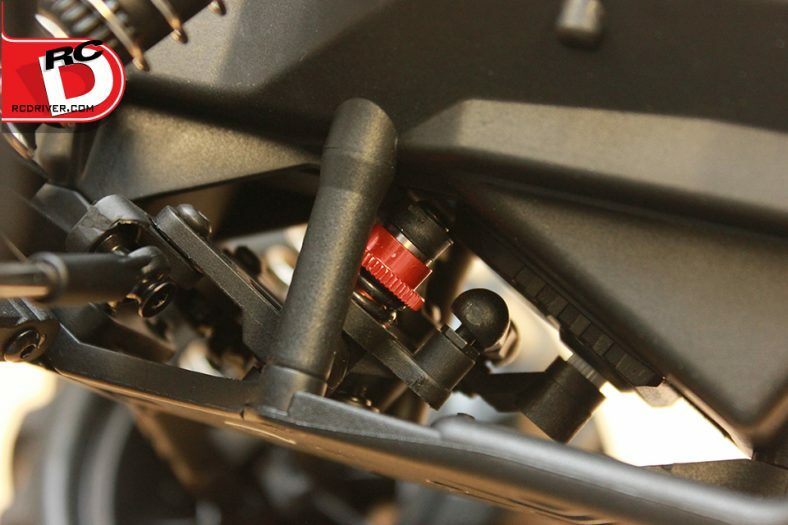 The big standout are the aluminum front arm brace and the aluminum rear suspension pivot block which proves this truck was built for bashers in box stock form. – Metal Mesh. 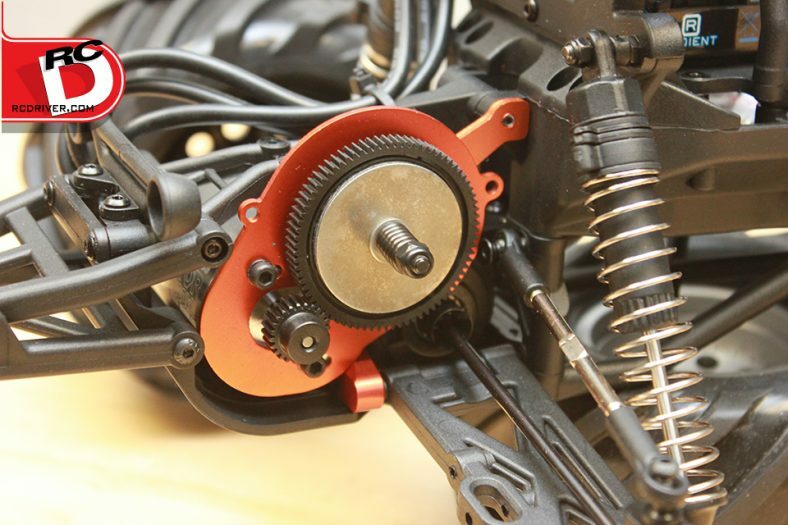 The gears inside the transmission are all metal and since this truck can be run on 3S LiPo, we’re happy to see the driveline bulked up from the factory. 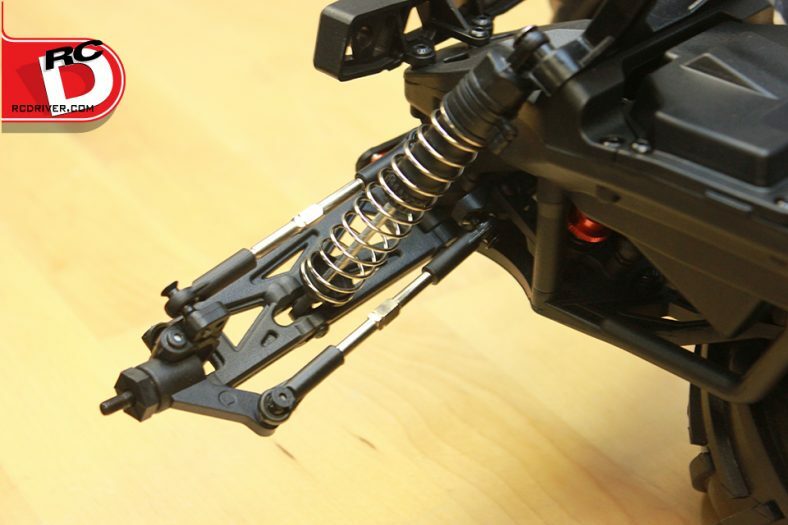 A dual pad slipper pinches a 48-pitch spur gear, but we were more dazzled by the aluminum motor plate behind the spur with aluminum support brace. Nice features. 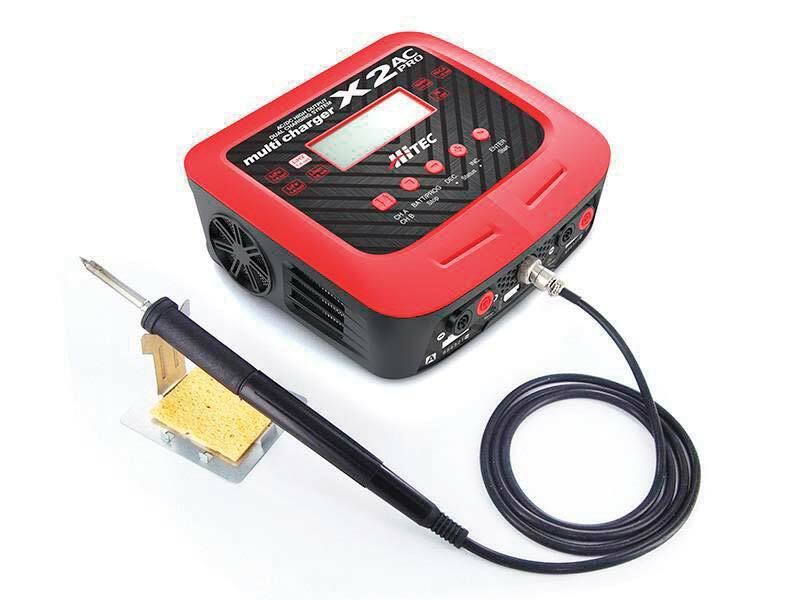 -Electronics Package. 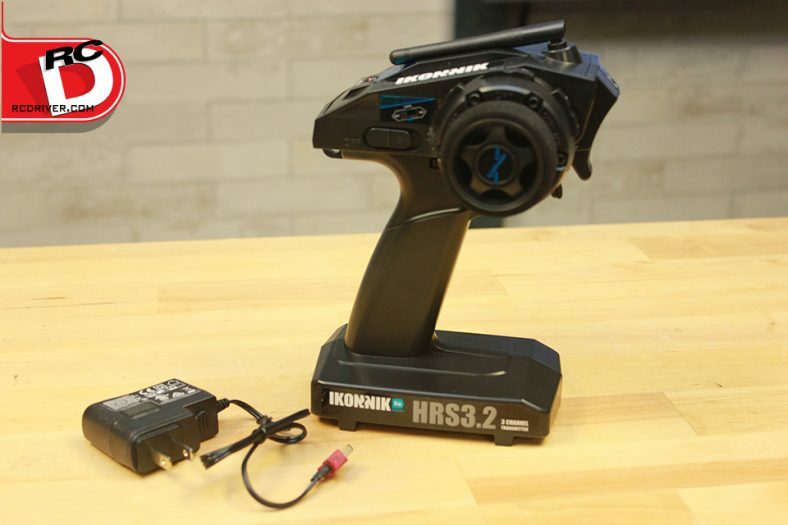 An Ikonnik HRS3 radio comes with the truck and its loaded with features you would find on many high-end radio systems. 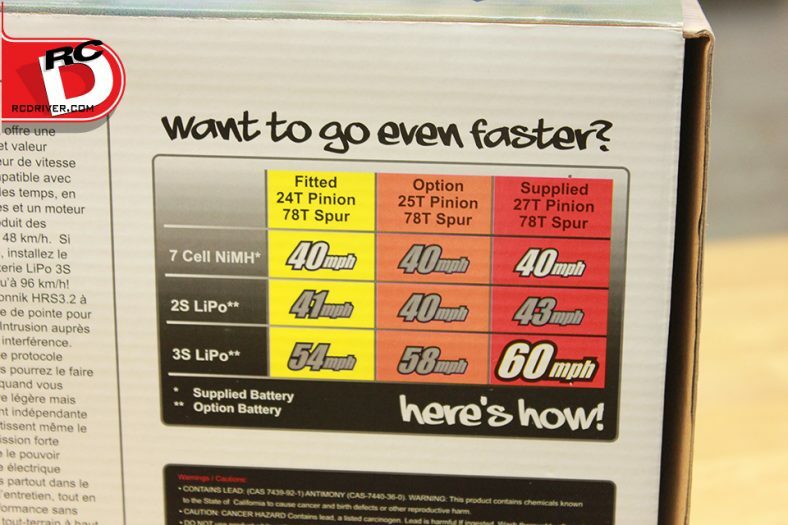 The set comes with a 3000mAh NiMh battery and 1A charger both fitted with a high-power T-connector. 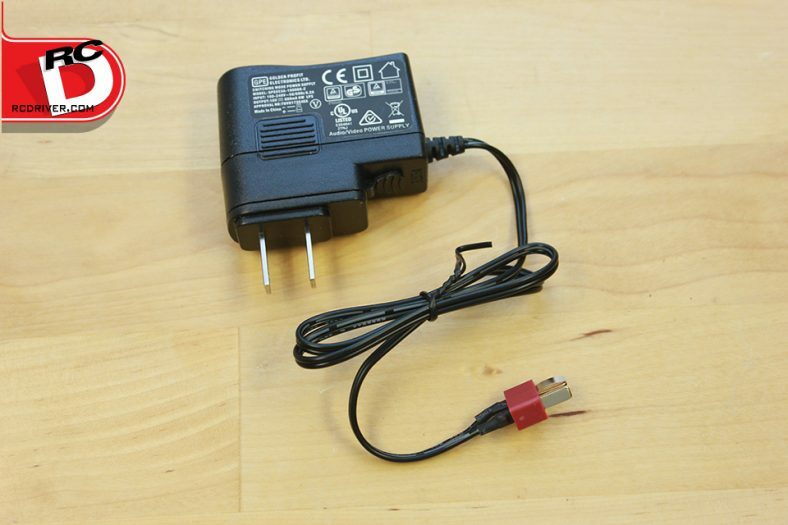 Although we like that Helion gets you going with an included wall charger, we suggest tossing it right at the Hobbytown and grab yourself a cool charger from the Radient line. 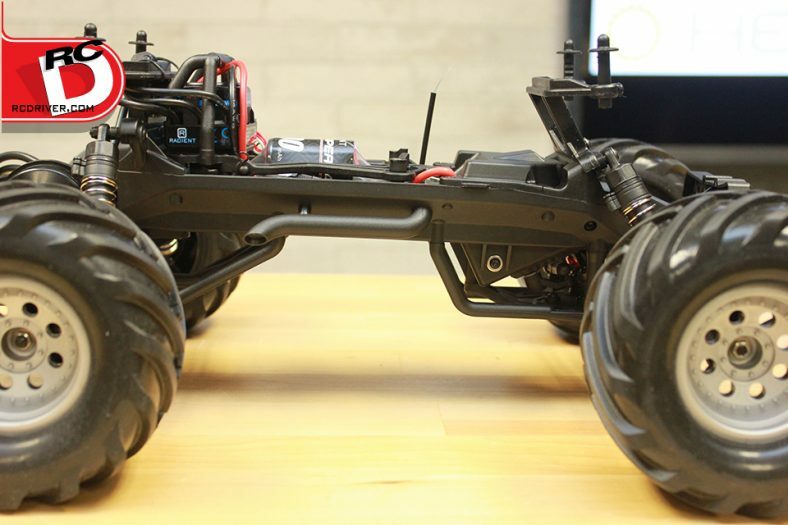 Speaking of Radient, the truck comes equipped with a Radient Reaktor50-4 brushless system. 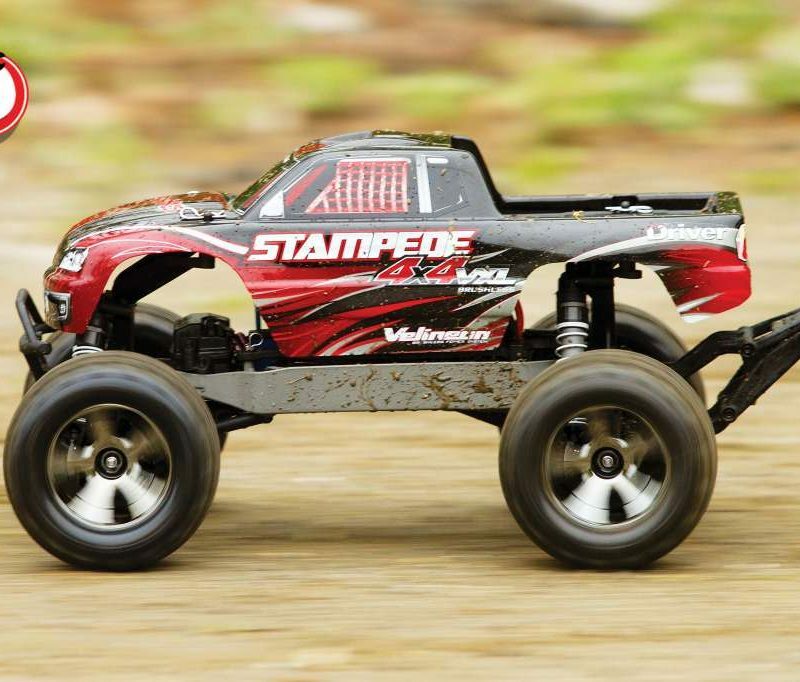 Brushless efficiency and power will make this truck a blast and its 3S capable so if you’re speed hungry, this truck can dish it out. 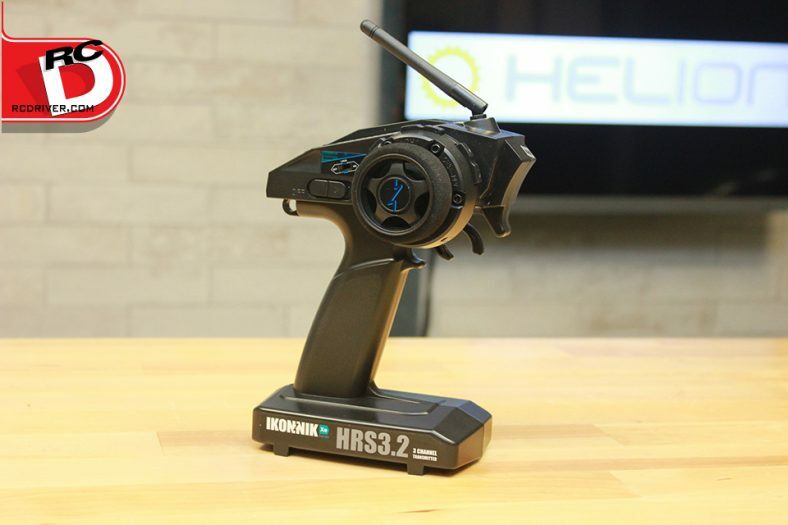 There are plenty of excellent other features packed into the Helion RC Intrusion XLR. 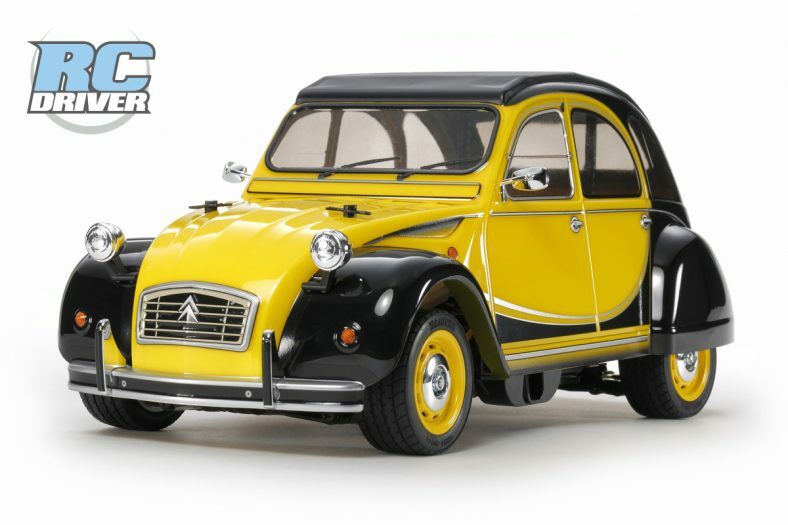 You’ll have to check back for our full review of the truck in the near future. 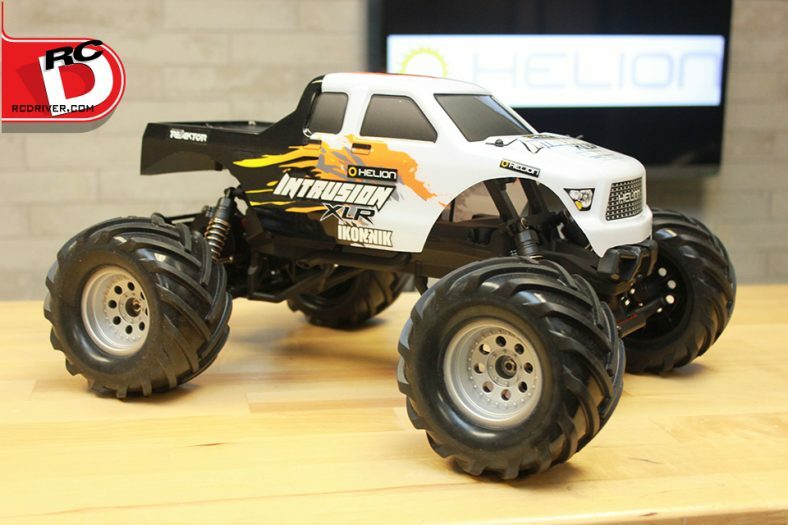 We can’t wait to see how it performs and we’re certainly going to test it in full backyard basher mode, dirt, pavement, grass, even snow. 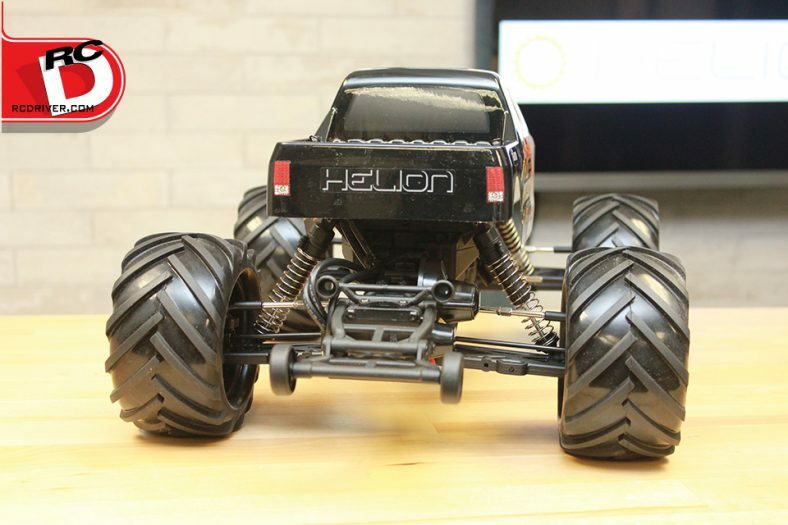 Helion looks to be hitting the car scene hard and we like the direction they are going. 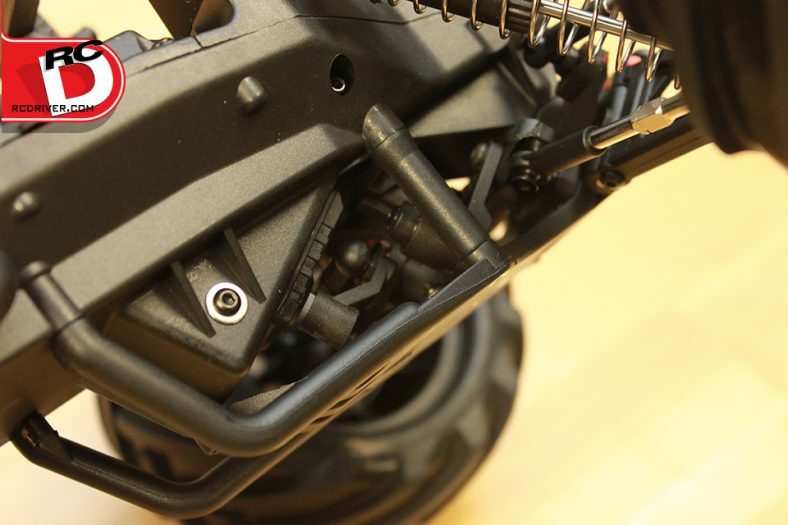 Take closer look at the new Intrusion XLR in our photo gallery below.